What is the Jianchuan Museum? Covering an area of around 33.34 hectares, Jian Chuan Museum Cluster is situated in the museum town - Anren Town, Dayi County. Founded by the private entrepreneur Fan Jianchuan, it offers more than 30 museums with 29 museums open to the public. The halls present 4 topics, including anti-Japanese War, Age of Cultural Revolution, Folklore and Earthquake Relief Work. Jian Chuan Museum Cluster is located around 1 hour drive from Chengdu. It is themed “For the future, collect lessons; for peace, collect wars; for stability, collect disasters; for inheritance, collect folklore”. 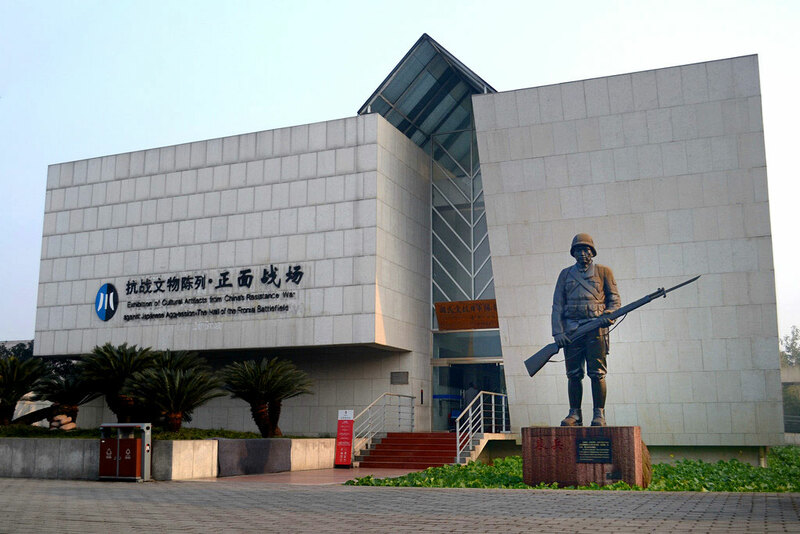 Through the precious collections, visitors can get acquainted with history of anti-Japanese War, stories of Flying Tigers in China, history of Sichuan Army anti-Japanese. The Handprint Square of Chinese Veteran in anti-Japanese War with an area of 3,000 square metres shows their coverage and will to resist the Japanese soldiers during the anti-Japanese War. The Mainstays Museum(中流砥柱馆) is a must-visit there. With an area of 2,345 square meters, it displays the strong will of the Chinese people during the Anti-Japanese War through historical photos, data, physical objects, documents, tunnel warfare and land mine warfare and much more. The halls for the Age of Cultural Revolution present the then life, the then belief, and the then porcelain and the then commodity. The museum for folklore offers visitors a great chance to know some old folk customs, such as Cultural Relics Museum for Sancun Jinlian which tells the historical process of ancient women in China from foot-binding to letting go, and shows the distorted aesthetic of feudal society. Covering an area of 1,382 square meters, the Museum of Flying Tigers and the Strongest Soldiers (飞虎奇兵馆) demonstrates the legendary experience of the Flying Tigers and General Chennault during the Anti-Japanese War, including their life and their fighting experience in China. Jian Chuan Museum Cluster is located in Anren Town with developed transportation. Therefore, there are a few options. Rent a vehicle from Chengdu. This is the quickest and most direct option. Opening hours: 09:00 - 17:30 (The museum is closed on the last day of the Chinese lunar calendar and tickets are not issued from 17:00). As at 7th August 2018, entrance pricing for all the opened museums is 60 CNY per person (valid in one day); entrance pricing for all the opened museums is 100 CNY per person (valid in three days); entrance pricing for one museum is 20 CNY per person (valid in one day); for the elder between 60 years old (60 years old included) and 70 years old(70 years old not included), 40 CNY per person is valid for all the opened museums in one day and 50 CNY per person is valid for all the opened museums in three days; for the elders above 70 years old(70 years old included), 20 CNY per person is valid for all the opened museums in one day and 25 CNY per person is valid for all the opened museums in three days; Children under 1.2m(1.2m included) are free of charge. The ticket pricing for the shuttle bus around the museum cluster is 10 CNY per person with unlimited taking. It runs every 15 minutes. Time for taking the bus: 08:30 - 17:30. The museum cluster offers English interpretation service: 220 CNY one time for the interpretation for 1-2 museums and 460 CNY one time for the interpretation for all the opened museums. As the cluster is very large, you can rent a bike if you enjoy biking. Interested in visiting the Jianchuan Museum on a Tour? Wendy Wei Tours offers a variety of different packaged tours as well as custom tours including the Jianchuan Museum, among other attractions and destinations. To find out more, please visit our Tours page or Contact Us directly to find out more.